We supply natural cork balls in sizes of 8, 10, 16, 18, 20 and 25mm (and agglomerated cork balls in these sizes and larger). 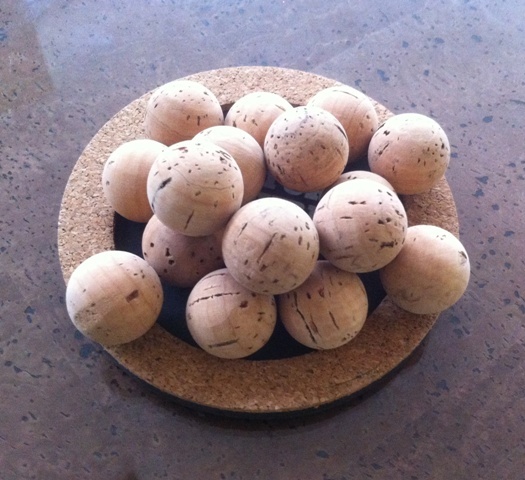 Natural cork balls are in fact very difficult to produce in high quality, as they need to be worked delicately and also need to be made from good quality natural cork in order to not have too many imperfections. We are able to produce high quality natural cork balls in high enough quality to produce for example necklaces and other jewelry as well as a range of craft products, whistles and so on. We are also able to add a hole in the balls if required. We are able to supply from a minimum order of 100 upwards.